Chelsea Clinton, the daughter of former President Bill Clinton and former Secretary of State Hillary Clinton, worked in San Diego Thursday. 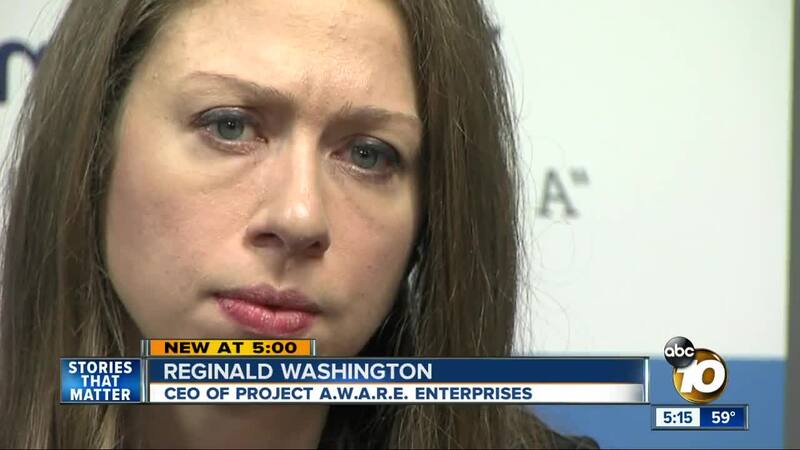 SAN DIEGO (KGTV) -- Chelsea Clinton, the daughter of former President Bill Clinton and former Secretary of State Hillary Clinton, worked in San Diego Thursday. "Knowing my situation I never believed in my life I would meet someone of that high authority, it's a blessing,” said Johnathan Curiel. At 18, Curiel has already learned a lot about believing in himself. "Overcoming the pain of the drug addiction and the gang violence, the not having a father figure." Part of Project Aware and the Youth Empowerment Project, Curiel and 19-year-old Felicity Torbert had prime seats today next to the former First Daughter. "Honestly I just wanted her to hear my struggle, my pain, to realize that I have a voice now,” said Curiel. "Me speaking to her was actually a step closer to actually having a voice and being recognized for what I want,” said Torbert. The organizations, working to make juvenile justice and foster systems take a more trauma informed and compassionate approach. "We need it to be accepted and implemented into policies and procedures,” said Arthur Soriano, founder and CEO of Youth Empowerment. "We need it to be accepted and implemented into policies and procedures." Representing the Clinton Foundation, Chelsea Clinton was there to listen. "I'm incredibly humbled and inspired by the young people who have been or still are in the foster care system or on probation in the juvenile justice system and their determination,” Clinton said. From there, she met with county leaders at a roundtable, moderated by 10News Anchor Steve Atkinson.